Hi guys! I've got a quick post for you today. I'm getting ready to head out of town for the holiday, so this will be my last post this week. 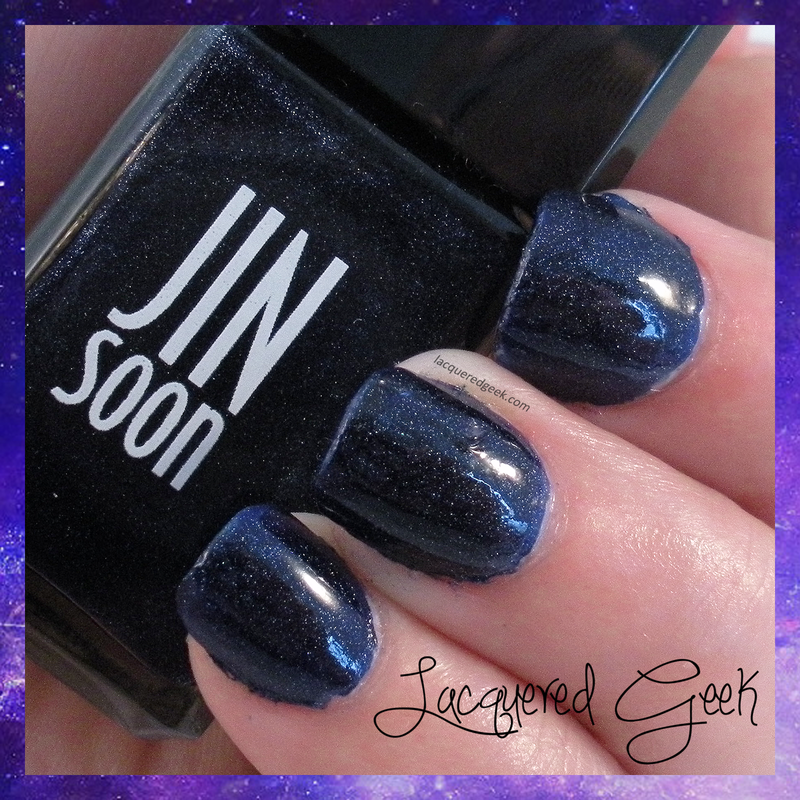 Today, I'm sharing "Azurite" from JINsoon. It's another polish that I got for my birthday that's typically out of my polish pricing comfort zone. 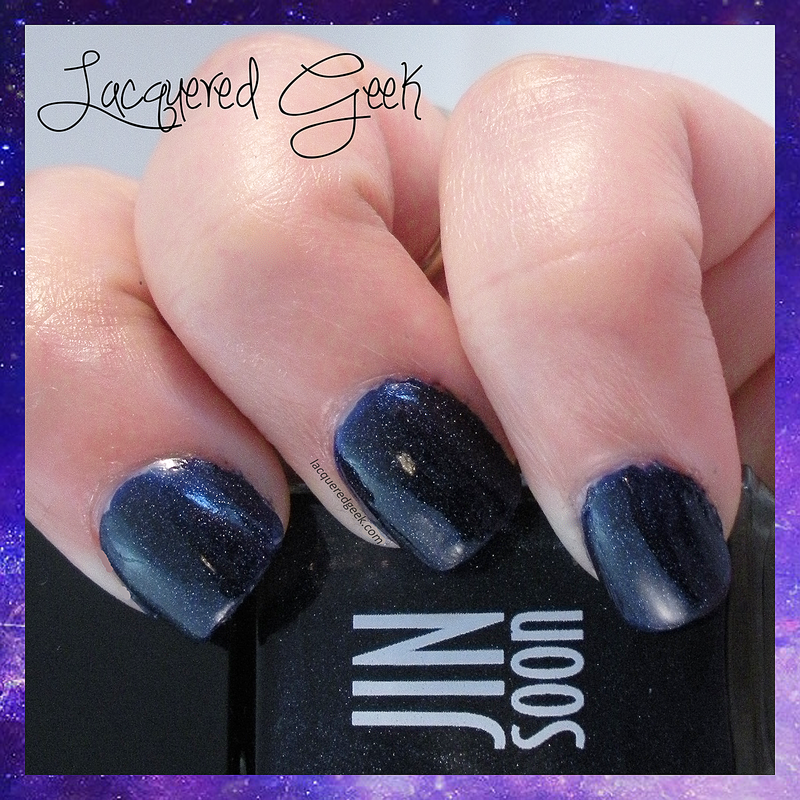 Azurite is dark navy blue with an amazing silver shimmer throughout the polish. 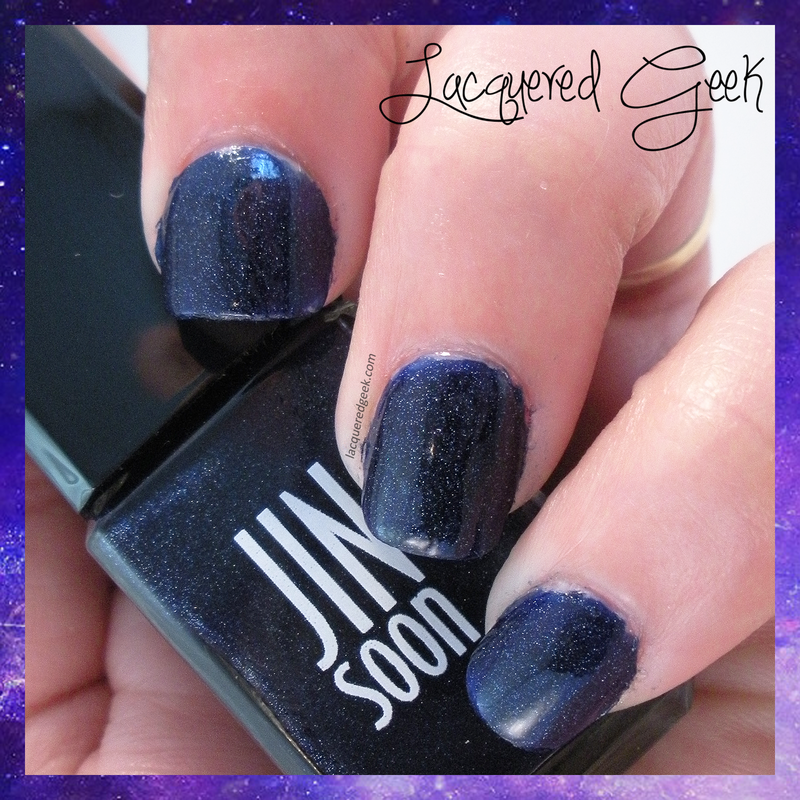 This polish would be a fantastic base for galaxy nails. Seriously, check out the shimmer in this! It's stunning! I'm wearing 2 coats in these photos, with no top coat. The formula was very good, and it had a phenomenal dry time! 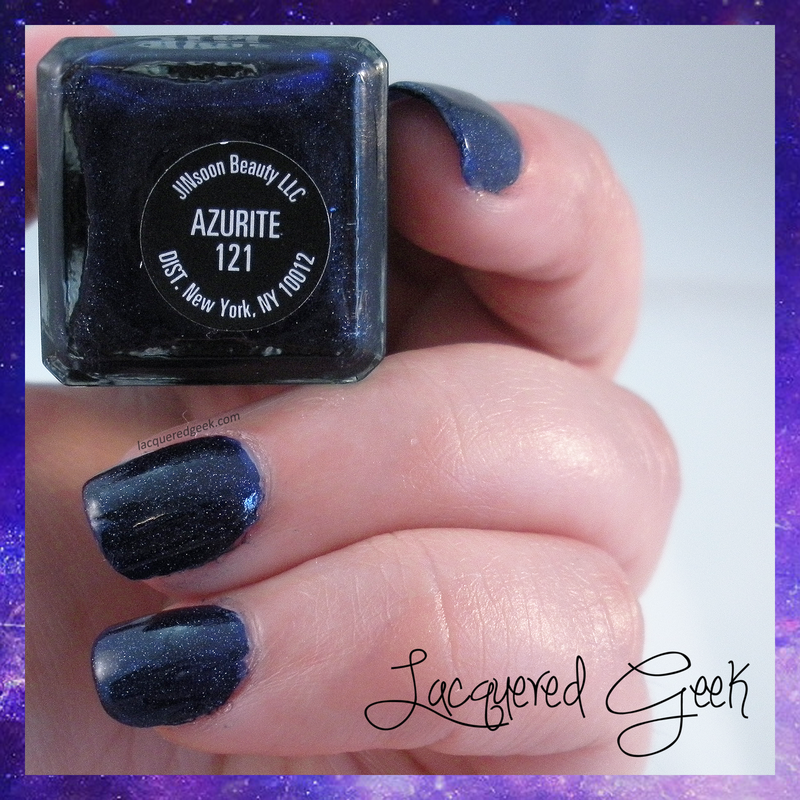 Azurite from JINsoon is available from select retailers or online, and retails for $18. I hope that all my US readers have a great Thanksgiving holiday on Thursday, and have the chance to enjoy time with their families. And I hope everyone gets to take advantage of some great Black Friday (and Cyber Monday) deals! Although I won't be posting any blog posts, I am going to try to share Black Friday specials that I see on Facebook, so be sure to like my page!